Lituanie (Lithauen) 1930. Commercial COVER with Memelland KLAIPEDA Pmark. Pair of 2 stamps affixed. 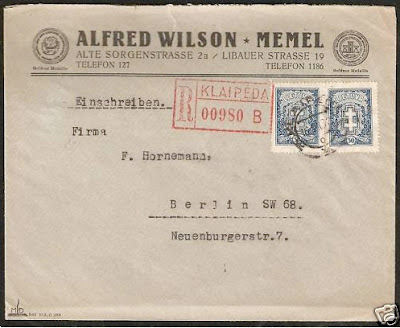 Sent to Berlin. Rare and interesting from that Region.